Get Your Dry Fruits Craving Sorted At This Place! Are you crazy about dry fruits and looking for a place to fulfil your cravings? 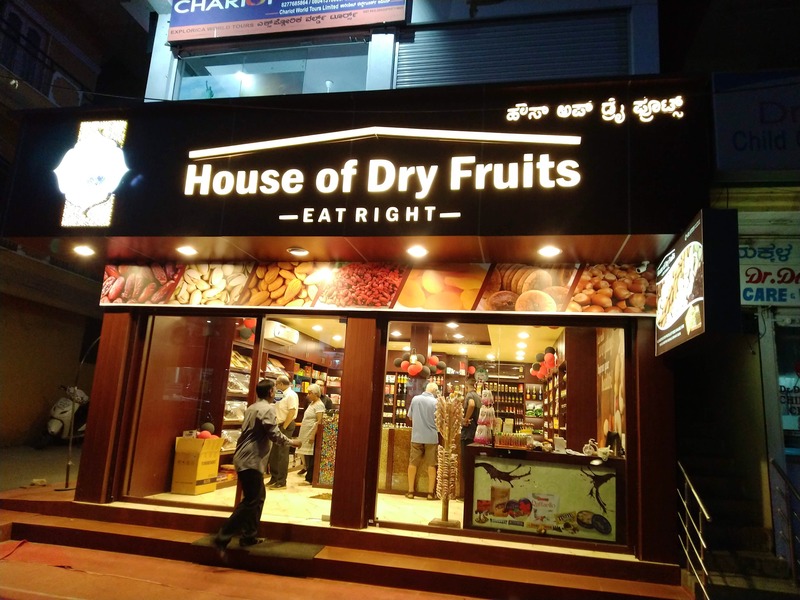 Get on and reach House Of Dryfruits in HRBR Layout which sells authentic dry fruits from India and Abroad. The store has stocks of all premium nuts, dates, dry fruits, chocolate etc. from local and international suppliers around the world, priced reasonably that doesn't hit your pocket. If you are looking for premium products and varieties of Tang, Milo, dry fruit syrups and healthy alternatives - they also have stocked it and a great one-stop store to explore your cravings and fulfil them.